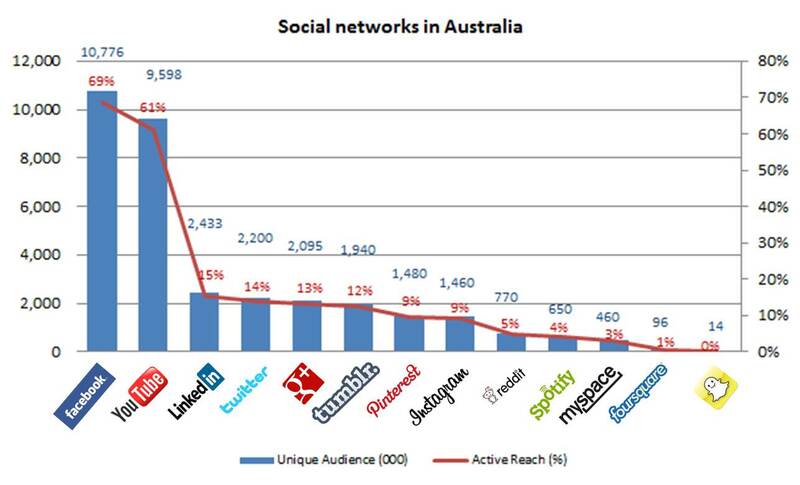 – Linkedin & Twitter still fighting for number 2 position but will be interesting to see how things evolved with G+ bridging the gap with these two! 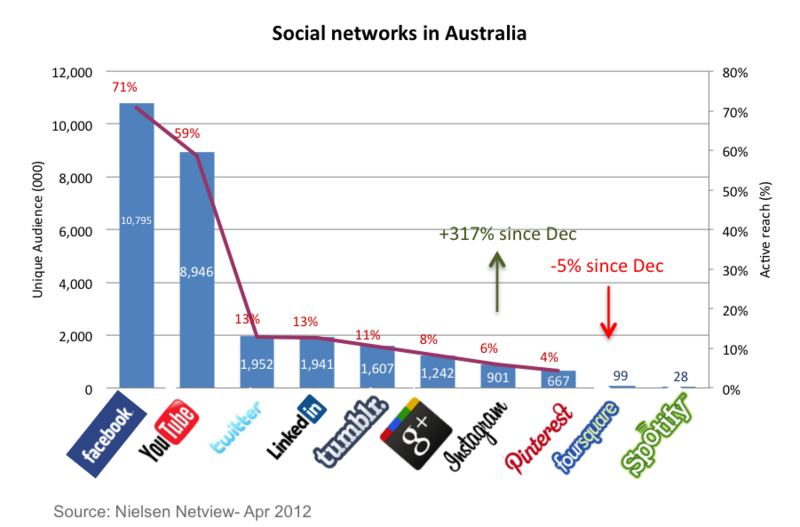 – Not surprisingly Foursquare and Myspace keep shrinking…. Previous stats from Jan 2013. 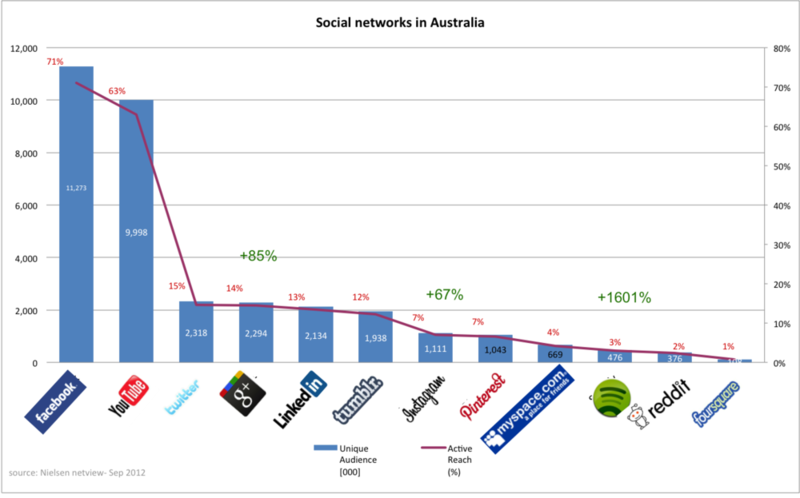 Spotify is the clear winner, strong increase from G+ as well which has overtaken Linkedin. Let’s keep an eye on the new myspace to see what that’s going to do! No surprises in the ranking: Facbeook still dominates (Facebook actually claims to reach 12 Mill users, but Nielsen still reports 10 Mill +). I will update them regularly, feel free to download!